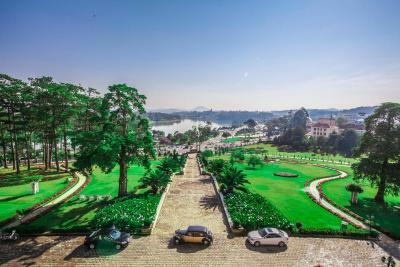 Lock in a great price for Dalat Palace Heritage Hotel – rated 8.3 by recent guests! Amazing Location: We walked everywhere, the night market, to the creamy house, around the lake, great for people watching. Close to everything and still away from the chaos and noise of the town. Beautiful Views of the Xuan Huong Lake from both the room and the restaurant's terrace. Perfect for enjoying breakfast and afernoon tea. Le Rabelais Restaurant: Delicious dinner, beautiful vintage French colonial ambiance. Decoration of the whole place. Felt like traveling back in time. It's like staying in your own personal clean museum. Kind and happy Staff. Comfy Bed. Location was good. Staff friendly, but struggling with hopeless facilities and management! We love the elaborate breakfast buffet and we love the designs and architecture of the hotel. The gardens and the grand entrance is also beautiful. 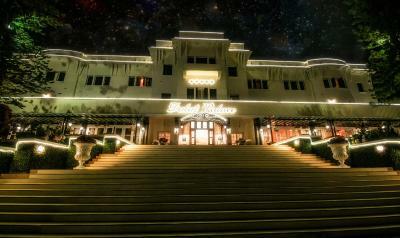 We think that if you come to Dalat you must experience to stay at this hotel. It is historical. And we love our rooms. I'm sure all rooms are beautifu. The location is also perfect, it is close to everything like the market, shopping, restaurants etc. We actually just walk to the market and restaurant. We also like the concierge, they speak good english and was very helpful. The location of the hotel is the best in dalat. The gardening at the hotel so beautiful.all the facilities are as the colonial times. Thanks to the stuff there are doing a great job. Great location and very historic feel to the hotel. The hotel was very helpful in assisting us celebrate a significant birthday of one of our party. 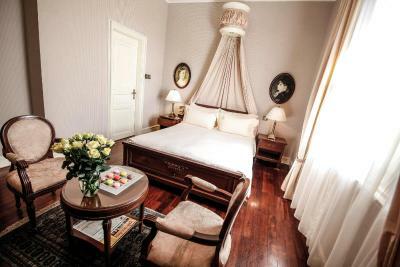 Dalat Palace Heritage Hotel This rating is a reflection of how the property compares to the industry standard when it comes to price, facilities and services available. It's based on a self-evaluation by the property. Use this rating to help choose your stay! One of our top picks in Da Lat.Dalat Palace Hotel is located in the of heart Dalat, less than 1,000 feet from Bao Dai Palace. Set in a private park, the naturally ventilated hotel features a restaurant, spa and free Wi-Fi. 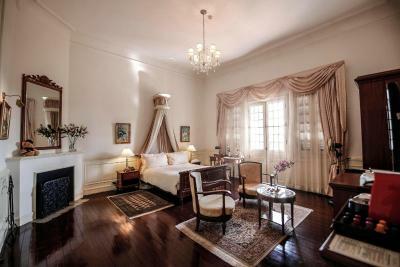 The open-air rooms at the Palace Dalat are elegant with 1920s French colonial decor and hardwood flooring. Each room is equipped with a TV, mini-bar and coffee/tea making facilities. 24-hour room service is also provided. The hotel has tennis courts and a children’s outdoor playground. Guests can work out at the fitness center or visit the spa for a relaxing massage. Bicycle rental, limousine services and shuttle services are available.Parking is free. Le Rabelalis serves a wide selection of French dishes and wine, and is open for breakfast, lunch and dinner. For drinks and snacks, Palace Club is another available dining option, where you can also enjoy Dalat's unique Palace high-tea. Dalat Palace Hotel is a 2 mi from Dalat Museum and 30-minute drive from Dalat Airport. 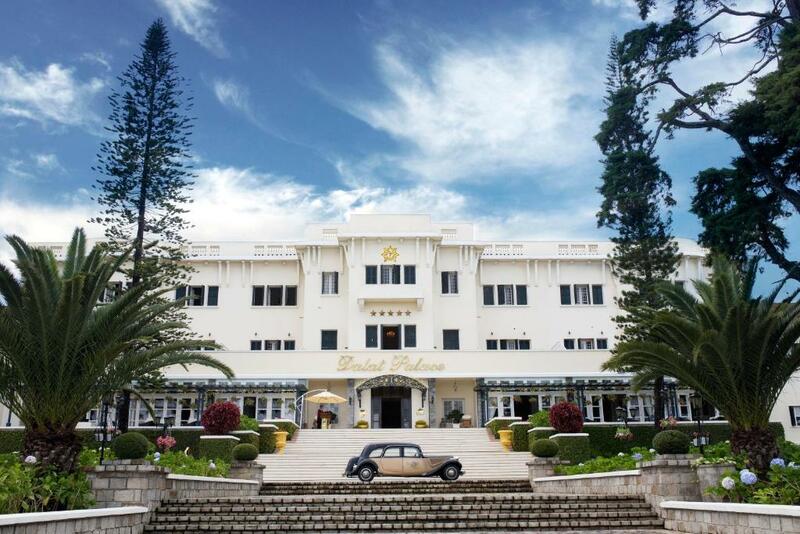 When would you like to stay at Dalat Palace Heritage Hotel? Enjoying views of the lake or cathedral, these suites come with a comfortable seating area, an open fireplace, ample work space and an private bathroom. These spacious rooms offer beautiful garden views. It features colonial decor, a private terrace, ample work space and an private bathroom. 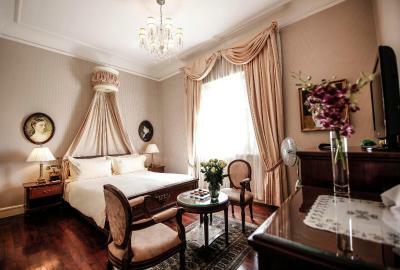 Featuring a separate living area with an open fireplace, these spacious and luxurious suites come with a private balcony, an opulent four-poster bed, a dining area and an private bathroom. These cozy and comfortable rooms offer either lake or cathedral views. It features colonial decor, a seating area, ample work space and an private bathroom. This twin/double room has a balcony, fireplace and mini-bar. House Rules Dalat Palace Heritage Hotel takes special requests – add in the next step! 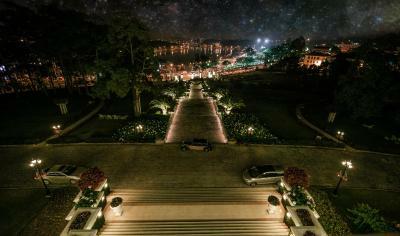 Dalat Palace Heritage Hotel accepts these cards and reserves the right to temporarily hold an amount prior to arrival. Its a very old property. The bedroom are tiny in Delux rooms the bed mattress are totally wornout. The bathrooms shower keep going hot n cold. The Spa was closed most of the time. Location is good as its a Heritage site. The food was horrible. I mean horrible. Had lunch once time and breakfast one time. Food was not fresh, prepared incorrectly and tasted terrible. Restaurants outside of the hotel were great. Excellent local food and international choices. Loved the hotel, hated the food. Overall a totally hopeless experience, although certain staff members tried their best to help. Checked out five rooms before settling on one - bathroom facilities in main block rooms appalling, including not water supply! New wing rooms "worked", but were decorated in the most appalling taste! Breakfast set-up was 2-3 star at best, very poor croissant and bread quality, "fake" jams, etc.! Not at all suitable for 5-star international market. The only downside of this hotel is that there is no heating system for their rooms and it gets really cold at night especially when it rains a lot. When we complained about it, someone delivered a fan in our room. Then we thought there might be a miscommunication but then when he turned that thing on, it's got this big bright light and it turned out it's a warm light. So this big flash of a light is supposed to warm you. And you can also rotate the thing. It really drove my husband to the edge. They just didn't think how can someone sleep with this big flash light on you. So, we rather turned off the warm light so we can sleep and just ordered more blanket. And we survived for a few nights but we could have stayed longer if they could at least warm the room properly. As a 5 star hotel many of staff can not speak English. The house keeping person do not give shampoo, gel, soup when they're running out. No dustbin clean, no bathrobe change..... basically They just did simple bed making. Some of the bathroom facilities in our room need updating. Water sprayed everywhere the we showered. The smell in the bathroom is somestime very bad. It comes from drainage system.